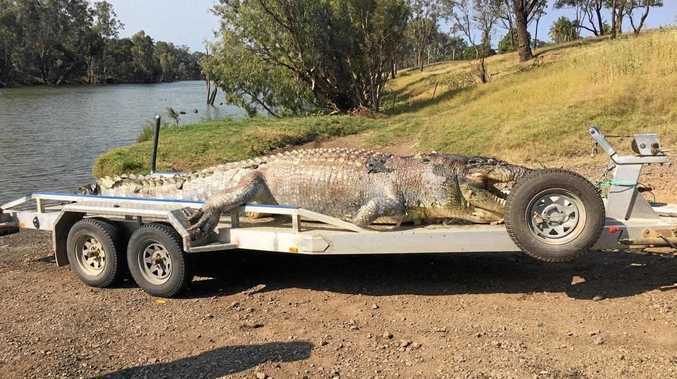 Police have released this image of the 5.2m crocodile shot in the head in the Fitzroy River. 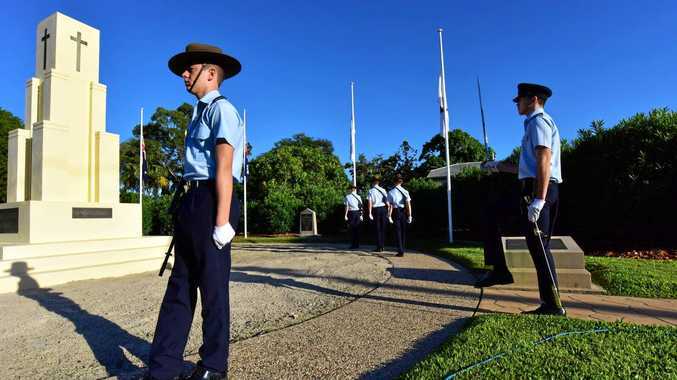 STATE leader of Katter's Australia Party Robbie Katter has pledged to make the first donation to the Go Fund Me page of the CQ man fined $10,000 for shooting a crocodile. 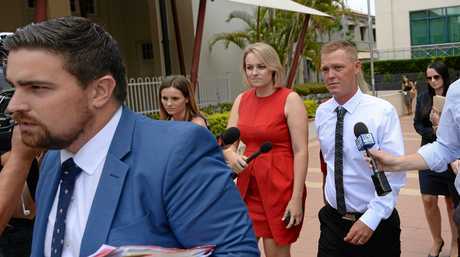 In Rockhampton court, Luke Orchard was handed a $10,000 fine but had not conviction recorded over the shooting of a monster crocodile near Rockhampton. The Fitzroy River crocodile is believed to have been born during World War I and was a survivor of extensive hunting. It's also believed it was wary of humans and had never posed any threat to human life. Luke Stephen Orchard, 31, pleaded guilty yesterday in the Rockhampton Magistrates Court to one count of unlawfully taking a protected animal and was ordered to pay a $10,000 fine. His firearm and ammunition were forfeited. Police prosecutor Jess King said the Belmont Research Station farmhand made admissions to police about the shooting of the 5.26-metre male crocodile on the banks of the Fitzroy River on September 13, 2017. Ms King said the crocodile, determined by experts to have been between 80-100 years old, had been shot in the head between the eyes. She said fragments of the bullet retrieved from the crocodile indicated it had been shot with a .33 Winchester Marlin-model rifle. The court heard Orchard was checking on cattle at the Etna Creek property while on a quad bike and spotted the crocodile resting on the bank. "I shot the crocodile," Orchard said in his interview with police on December 21. "It was taking calves and I was getting sick of it, so I got rid of it." The court heard Orchard shot at it once on the first occasion and watched as the beast rolled into the water, thinking he had killed it. Defence lawyer Rowan King said his client was "nervous, embarrassed and completely ashamed". He said Orchard, the father of an eight-year-old daughter, worked looking for Geoff Maynard, who has cattle agisted at Belmont, and his job was currently at risk as a result of this offence. Mr King said his client's role at Belmont was to tag, weigh and record calf data as well as care for them until sale. "So he knows each animal fondly," he said. Mr King said at the time of the shooting, Orchard had observed cattle running up and down the riverbank which caused concern for his client, who had found the carcass of an eight-year-old cow washed up on the river. The court heard Orchard knew crocodiles were a protected species and that the correct action in such cases was to contact Croc Watch for them to investigate and possibly relocated the beast. "But you decided these measures were inadequate and to kill the crocodile," Mr Clarke determined while summing up the case. He referred to Orchard as having a "defiant attitude towards the operation of the law". The maximum penalty for the unlawful take of an 'iconic' crocodile is $28,383.75.